What do you do when you are bitten by a tick? A patient pulled a tick off a thigh 10 months ago. He watched for a rash or other symptoms. Nothing happened and the incident was quickly of sight, out of his mind. Three to four months later he started to generally feel crummy, tired and achy. He thought he was just run down, probably just stress at work and at home. He was confident things would soon clear. But they didn’t. The fatigue turned into bone crushing exhaustion. He found he was losing his mental edge. This former marathon runner was finding it hard to get out of bed; his ability to think clearly and his short term memory were increasingly impaired. He scheduled a routine physical with his family doctor and requested a Lyme test. His doctor informed him that everything looked good except the Lyme test which was positive. The GP ordered 3 weeks of doxycycline. The treatment did not help at all. He returned to his family doc who said he was not surprised the treatment failed but there was nothing more he could do. The doc said that the 3-week therapy was all the CDC would allow. After cajoling, the primary care physician agreed to prescribe an additional 2-week course of doxy but warned it would not help. The prediction came true. I saw the patient a couple of weeks ago as he weakly limped into my office having trouble getting onto the examination table. He admitted to increasing confusion and bouts of disorientation. Where did the notion that the CDC only allows 3 weeks of doxycycline come from? How did the prescient physician know another 2 weeks of doxy was not going to help? The CDC links with its strategic partner, the IDSA. The IDSA wrote guidelines 10 years ago which it still apparently clings to. Let’s see – the spirochete responsible for Lyme disease was discovered in 1982: for all intents and purposes the disease we know is 34 years old. Therefore, guidelines written 10 years ago were penned without the benefit of knowledge garnered during the entire last third of the disease’s life. The guidelines include “facts” which we now know to be clearly incorrect. For example, the documents states there is no scientific plausibility for the notion that post-Lyme syndrome is due to persistence of organisms. The last NIH sponsored study by Fallon which suggests organisms persist was not published until 2007. The lead author believes in persistence. Animal studies in mice, dogs and primates support persistence. Test tube studies support persistence. Even a xenodiagnoses study recently showed that pristine ticks can acquire Lyme infection from humans with early Lyme previously treated by CDC guidelines. Most of this evidence was not available in 2006. The IDSA guidelines do not discuss a clinical scenario like the one discussed in the patient’s history. The guidelines strangely discuss acrodermatitis and lymphocytoma, rare conditions known only to exist in Europe caused by species of Borrelia not found in North America. The guidelines, written with a didactic, professorial flare, were out of touch will the realities of clinical Lyme disease in America at the time they were written. The guidelines do make a distinction between early Lyme and late stage Lyme, especially when it involves the central nervous system. The patient’s clinical course most closely resembles the late stage, central nervous system involvement type. The guidelines recommend that 3-4 weeks of intravenous Rocephin be considered (along with a spinal tap). The 21 days of doxycycline is not what the guidelines recommended for the patient. The family doctor was confused. (who wouldn’t be?) The guidelines state that only partial resolution of symptoms should be expected and that the impulse to prescribe longer courses of therapy be stifled. This reasoning should be questioned in the face of clear and convincing evidence of Lyme persistence. To summarize: The family doctor mistakenly thought that the CDC would only allow a 3-week course of doxycycline and the doctor knew that treatment was destined to fail, even when extended by a couple of weeks. I assume this understanding was the result of years of clinical experience. (The CDC does not have the authority to control a doctor's prescriptions). The IDSA guidelines, linked to the CDC, probably recommended a course of intravenous therapy for this patient, not the 3 weeks of doxycycline. What is clear is that the obsolete documented warned doctors the therapy would not work (only be partially effective). Actually the IDSA guidelines were deleted from the United States DHHS guidelines clearinghouse because they are more than 10 years old. The only listed, vetted and currently active guidelines are those written by ILADS. Unfortunately, the CDC, IDSA and the institutions of American Medicine do not recognize ILADS. From the perspective of mainstream medicine these guidelines do not exist. In the absence of guidelines, the system tells us answers must come from the appropriate vetted experts: Board Certified Infectious disease specialist. Doctors call LLMDs do not exist according to mainstream medicine. The Lyme paradigm war has been raging for decades and shows few signs of letting up any time soon. This patient in fact saw an Infectious Diseases expert before seeing me. The expert said the patient never had Lyme disease in the first place because the test results showed IgM antibodies not IgG antibodies. This misconception is discussed elsewhere in my blogs, somewhat exhaustively. The patient disagreed with the assessment, as do I. The system predictably got it wrong for a number of reasons, not within the scope of this discussion. A recent book written by Afrin implores us to “Never Bet Against Occam.” The theorem informs us that the solution (correct hypothesis) to a problem is generally the simplest one: the one requiring the fewest number of assumptions. The expert made a bad bet. The patient was bitten by a tick and got sick. Occam informs us the patient has Lyme disease or something that looks and acts a whole lot like it. This brings us back to the original question. What do you do if you are bitten by a tick? The answer has to be to take antibiotics for some duration, in hopes of preventing something like the disaster that befell this patient. The correct regimen is unknown and is a matter of discussion and opinion. But, the correct answer to the question is NOT: do nothing and wait to see if a rash appears. A long, difficult journey likely awaits the unfortunate patient who, largely based on widely disseminated misinformation, made the wrong choice. Patients suffering with Lyme disease and related ailments are frequently discarded and disenfranchised by a medical system which disavows the reality of their illness. Patients so suffering have a myriad of complaints and symptoms which may appear bewildering to the modern doctor allowed 6 minutes by managed care or to the super-subspecialist who views them through a narrow lens. The would be/should be diagnostician comes to the bedside of the sufferer with a suitcase of suppositions and biases. From the start, doctors these days seem possessed by an annoying compulsion to make a diagnosis as quickly as possible and deliver the news to the patient as soon as possible, preferably by the end of an initial 6-minute encounter. Today’s healers, along with their patients, cling to a belief that clinical diagnoses can be supported by technology of one sort or another. To the extent that a patient’s history can provide an underpinning of diagnosis, medical clinicians expect a narrative that makes sense within the context of a particular frame of reference. That frame of reference is largely based on mainstream notions of disease. Within that culture (mainstream medicine) chronic Lyme disease is nonexistent fiction except in the minds of confused patients of who spend too much time on the internet or in the minds of charlatans (Lyme doctors), poised to take advantage of long-suffering souls or who are at best well-meaning but poor clinicians chasing treatments based on an ill-conceived diagnosis “du jour.” Before the 6-minute doctor walks into the patient exam room the prospect of a diagnosis of chronic Lyme is nil. The early focus is on the patient history. Patients present with a hodgepodge of incoherent symptoms as perceived by our doctors. Doctors, who are taught to look for patterns seen none at first blush. When a doctor sees a patient the gears in his mind are spinning (if he’s had his coffee), looking for connections with the quick assemblage of possibilities, the differential diagnosis. Of course doctors can only diagnose what they know. And doctors are taught that is much more likely for a common disorder to present in an unexpected way than for a rare disorder to present itself in the context of the same confusing patient presentation. With this said, most clinicians think about the same diagnostic possibilities: depression, somatization disorders (psychosomatic), fibromyalgia, chronic fatigue syndrome and autoimmune syndromes. Pieces of the story which may not comport with the chosen diagnosis are conveniently excised. The clinician having quickly formed an impression, even within the context of a brief encounter, shares the presumptive diagnosis with the patient and makes a referral or writes a prescription on this basis. Today, the more enlightened mainstreamers understand the concept of post-Lyme or post treatment Lyme syndrome. Still, this disorder is described within the context of clearly established early Lyme, previously treated with persisting symptoms. The description of the syndrome is fairly limited: fatigue, brain fog, aches and pains, numbness and tingling and perhaps a few other symptoms. But this diagnosis is made reluctantly. The diagnostician, generally a biased infectious disease specialist, demands evidence of a tick bite, perhaps a rash and “dependable” affirming laboratory findings. Should the diagnosis be made – grudgingly, there is no offer of treatment. Instead patients are told they will generally improve over time, or not -- no further thought given as the specialist moves on to the next patient. Most infectious disease experts spout that Lyme doctors erroneously make the diagnosis, more often than not, in the absence of evidence of a tick bite or a positive blood report. Not only is chronic Lyme the wrong diagnosis, but the patient is said to have never have had Lyme at all. The process described above occurs with regularity and predictability. Of course patients, the sick and the uninitiated, have no idea what lies in store when they dial the family doctor’s office to schedule an appointment. The fight over Lyme has been ongoing since the disease was first named in 1977. Polly Murray, the first diagnosed patient, who shared her woes with a famed doctor at Yale was a bit put off when a new disease, “Lyme disease”, was announced to the world, because it was described as a disorder characterized by joint pain. What about all the other symptoms which had been going on and on for years? She was told: No disease causes all of those symptoms. This oft mentioned refrain has been thematic until the present. No disease can cause all of those symptoms. Doctors do look for recognizable patterns of symptoms. This is why chronic Lyme symptoms are easily subsumed by the diagnosis of chronic fatigue syndrome or fibromyalgia. The shoe fits – more or less. In 1977 even these categorizations of illness were decades off in the future. Previously the best fit was psychosomatic disorder. As I was taught, a positive review of symptoms (positive symptoms in so many, unrelated domains), is itself evidence of a psychiatric basis for all of the complaints. Again, we have to go back to the idea that doctors only diagnose that which they know. But there are diseases which cause seemingly unusual constellations of symptoms. In her book, Polly Murray somewhat poignantly tells the story of one physician who carefully listed to her and said: He believed there was something physically wrong (validating) but medicine did not yet have the tools to understand, diagnose or treat the disorder and he hoped that at some future date things would change. Why is this poignant? Doctors feel annoyingly compelled to make a call, provide a diagnosis, a label. The “I don’t know” diagnosis is rarely employed. Unfortunately, once a patient is so labeled, the diagnosis, frequently one with negative connotations, becomes indelibly tattooed to the patient’s forehead, prominently displayed when the patients seeks opinions from subsequent medical practitioners. Doctors have a hard time understanding their world in proper perspective. Like others, they are caught up in the moment. Their professional world occupies a point in space in time. Things are ever changing. Knowledge is ever increasing. The truths of medicine and science are always a moving target, always outside our grasp. The current state of the art will invariably be proved wrong. The current paradigm will be inevitably replaced by a new one as any student of history clearly knows. This brings us to issues of the Lyme patient and the Lyme doctor. Lyme patients more often than not present with patterns of symptoms that are seen over and over again. The symptoms are neither random nor manifestations of a modern epidemic of madness. Lyme patients may complain of fatigue, disturbances of energy and sleep, pains which move about, strange sensations, numbness and tingling, cognitive changes and others. Those with Babesia may consistently have flulike symptoms, night sweats, air hunger and emotional changes. Those with Bartonella may have certain rashes, heel and shin pain, other sorts of muscle pains and specific psychological symptoms etc. The Lyme doctor differs from his colleagues because he resides in a world of other possibilities. One in which Lyme is placed highly in the ranks of differential diagnoses. He is someone who knows that the problems of Lyme, diagnosis and treatment are far from worked out. Her certainly understands that current technology does not give us the answers. But I think the Lyme doctor is one who puts his patients above all else. He tries to cobble together that which is known with that which is suspected and go out on a limb, offering treatments which may help the Lyme sufferer, at the same time avoiding harm, such treatments based on science and various clinical resources, but outside the standards offered by the narrow prescriptions of the accepted paradigm of the day. Speaking for myself, the Lyme doctor is one who uses the tools handed him by the profession but in some unique ways, caring more about his patient’s welfare than his own or what his colleagues may think of him. The Lyme doctors allows himself the luxury of critical thinking in a day when that particular commodity is eschewed, in favor of guidelines, the product of our institutions. The danger of thinking for yourself is that you might get it wrong. Powerful forces say you are. But clinical experience tells us we have it right, so we persevere, and thousands of lives are on the line. Lone star ticks, (Amblyoma americanum). are taking over. They now comprise more than 80% of the small black legged, hard bodied ticks found in the D.C metro area and elsewhere. These guys are very aggressive. They may be hard to distinguish from their deer tick (Ixodes scapularis) colleagues. Adult females are easy to spot: white spot on top. The shape and coloration is somewhat different. Take a careful look with a magnifying glass and compare to pix on google images. The CDC party line is: Lone stars do not transmit Lyme; they transmit STARI which is a mild disease and easy to treat. The CDC website states it is unknown wich bacteria causes the syndrome. The CDC website says Borrelia lonstari was a suspect but “further research” showed this not to be the case. This “definitive” research is the product of a small study published by Gary Wormser (name familiar) in 2005. Thirty EM rashes were examined for B. burdorferi (classic Lyme) and B. lonestari. Wormser did not find the genetic signature of B. burgdorferi or B. lonstari (or any Borrelia species) Therefore, the case is closed. Incidentally, all cases were from the Cape Girardeau are of Missouri (along the Mississippi river). I leave it to the reader to make sense of this research. It is said that an inhibitor in lone star tick saliva makes them an inhospitable host for B. burdorferi. Perhaps. Nonethess, multiple studies have shown that B. burdorferi can be found in lone stars. A patient in my practice with PCR (blood) proven B. lonestari was amongst the sickest patients I have seen. The only lab that I know of that does this test is Clongen. What about Western Blots? This patient was negative except for band 41 at two reference labs. The Western Blot (as we currently know it) may soon be obsolete as the mix of Borrelia pathogens changes. Clongen found many Babesia organisms in these ticks, species unknown. Laboratory testing for unknown species of Babesia is impossible, except for fresh, properly stained blood smears. Bartonella is already a complete mystery: I say no more here. Diverse ticks (Ixodes species) around the globe are known to transmit Borrelia species causing a Lyme-like illness, referred to as Borrelia burgdorferi sensu lato. Rapid changes are occurring in the US. The spirochetes live in an expanded reservoir, beyond white footed mice; the species are different; the strains are different and of course the vectors are different. The coinfections are different and may be complete unknowns. Here are a few clues: Ehrichia antibodies equal lone star tick. Only Anaplasma in deer ticks. RMSF antibodies show up a lot. I am not sure what this means. 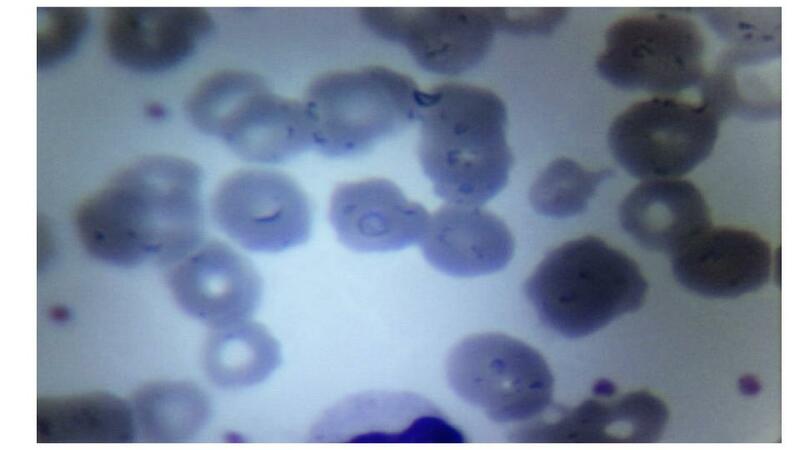 Cross reacting Rickettsia sp? RMSF occurs only in lone stars not deer ticks. Meat allergies (anti-gal) only from lone stars: can be devastating. The Lyme disease and associated tickborne pathogens paradigm is changing dramatically and very quickly. Be cognizant as we move forward. A 70-year-old male believes he has had Lyme disease for over 10 years, first diagnosed 3 years ago. He recalls a tick bite 10 years ago which led to chronic symptoms, mild enough to be ignored. Four years ago he was admitted to a hospital with acute neurological manifestations. Primarily he complained of poor balance and difficulty walking. An EMG was positive for neuropathy. A brain PET (nuclear scan) showed diffuse but non-diagnostic abnormalities. Despite this scan he remained cognitively sharp and still teaches high level math. The diagnosis of Lyme was made 3years ago. Prior therapy with Omnicef, Zithromax and Mepron had been unhelpful. He has numerous concomitant chronic disorders any of which may cause neuropathy: well controlled type 2 diabetes, pernicious anemia, hypothyroidism and MUGUS. Features of his illness include: daily night sweats for over 10 years after the tick bite and persistently elevated muscle enzymes (CPK), unexplained. He had been already treated for more than 2 years: I have been treating him for only 3 months. He improved fairly quickly with a doxycycline based cocktail. Then Rifampin was added. He reports that this is the first time he has not had night sweats in 10 years. Muscle enzymes normalized, first time in 4 years, and, neuropathy symptoms have improved and he is walking better. This response was far beyond my most optimistic expectations. Neuropathy: from the perspective of neurologists (in general) his neuropathy would most likely be due to diabetes. All of his “mainstream” illnesses are associated with neuropathy. Never count Lyme out – or perhaps Bartonella in this case. It takes a long time for neuropathy to improve. Symptomatic relief may have more to do with Benfotiamine, a product related to vitamin B1 I suggested he try. 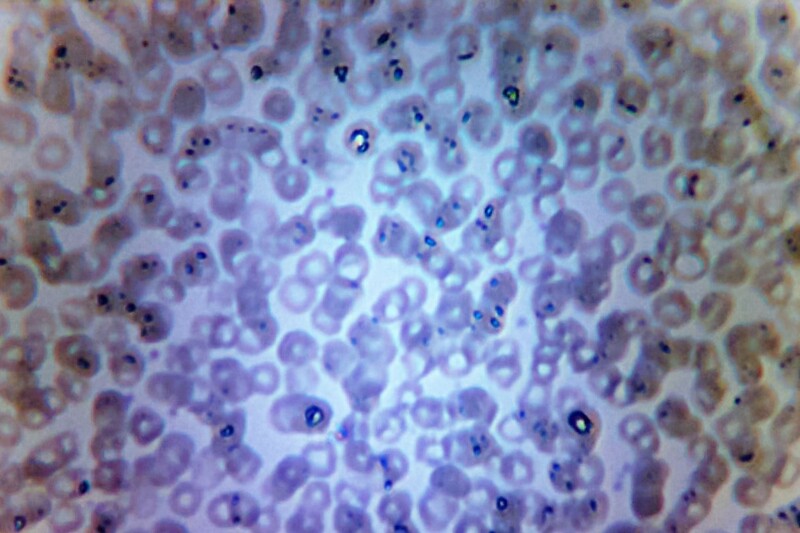 Night sweats: His lab workup for Babesia was negative (including freshly stained blood smear). He had none of the other symptoms which are classically associated with Babesia infection, including air hunger and depression. Rifampin does improve eradication of Lyme persisters when added to other antibiotics but I think the response to Rifampin leads us to Bartonella. There are a host of new and emerging species of Bartonella seen association with tickborne illness. Muscle enzymes: It is well documented that Lyme can directly infect muscle tissue and elevate muscle enzymes. Bartonella? Bartonella infection causes vasculitis. The bacteria reside within he endothelial cells which line blood vessels. The strange rashes that accompany the infection are a manifestation of inflamed blood vessels. Other causes of vasculitis (medical literature) may cause low grade fevers, night sweats and muscle abnormalities. PET and SPECT scans may have limited value and be nonspecific. Results should be interpreted in this vane. Cerebral vasculitis may be a consideration. No response: to Omnicef, Zithromax and Mepron. Additional clues that Lyme and Babesia may not be the most important players. Always start with doxycycline unless there is a compelling reason for not doing so. Doxy is a necessary component of the 3 drug regiment which killed Lyme in Dr. Zhang’s test tubes. It is perhaps the best anti-spirochete Lyme drug. Doxy treats numerous coinfections and doxy is very handy when 3 drug “cocktails” are concocted for Lyme patients. This patient had already experienced considerable relief from a doxy based cocktail before Rifampin was added. Lyme is ever confusing and at times surprising. For me it is important to attempt to work out the mechanisms (pathophysiology) of symptoms in each patient which provides a basis for treatment going forward. Are my hypotheses correct? It provides me with a narrative. Of course I am only making educated guesses. Research one way or the other which could help us understand what is going on with this patient is not in the pre-contemplative stage. Nowhere near it. Lyme is a tragic disease. The CDC admits there are at least 300,000 new cases a year. There are a lot more. Most cases are missed or misdiagnosed. The manifestation of this chameleon diseases are protean. The disease threatens the premises which hold together the gestalt understanding of human disease. An acceptance of these mind bending notions would require serious revisions of uncountable chapters in medical textbooks. In a sense this may be what the paradigm war is about. It is not about whether Lyme persists or how long patients should be treated etc. It is about a fundamental rethinking of disease with a new found appreciation of the contribution of microorganisms. This notion both daunting and scary.